Little Misfortune is an upcoming narrative-driven from Killmonday Games. 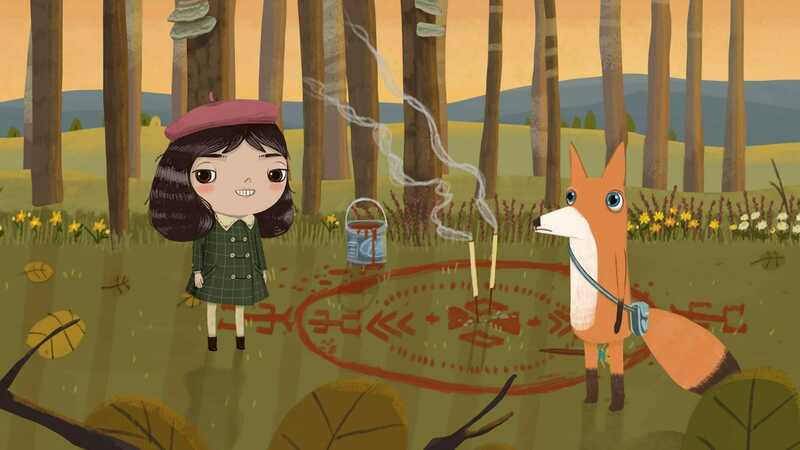 The studio has been responsible for titles like Fran Bow, which was a big hit in the indie world. Now the Little Misfortune Demo Release Date has been announced. If you’re interested in trying out the demo for the upcoming game, you’ll be glad to know that it’s coming out this month on 22nd April. We're excited to announce that Little Misfortune Demo will be available on April 22! Little Misfortune is an interactive story, focused on exploration and characters, both sweet and dark, where your choices have consequences. Starring Misfortune Ramirez Hernandez, an imaginative 8-year-old, who seeks the prize of Eternal Happiness, as a gift to her Mommy. Led by her new friend, Mr. Voice, they venture into the woods, where mysteries are unraveled and a little bit of bad luck unfolds. You may pet a doggy, a fishy, a wolfie, the Kraken, the kitty and the foxy. Visit a pet cemetery with a shovel. Now with real human voices: Hear Misfortune say some pretty cute things! Original art by Natalia Martinsson. Original soundtrack by Isak Martinsson. You can wishlist the game on Steam right now. While you are here, make sure you check out the system requirements for Yakuza Kiwami 2 and it’s pre-order bonuses as well. What do you think about the Little Misfortune Demo Release Date? Are you a fan of their previous work? Let us know in the comments below and share your thoughts.